Convert to DICOM. Send to PACS and Film. 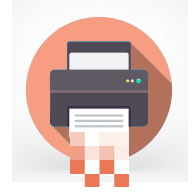 DICOM Printer 2 is a virtual printer and application that helps you send documents or images directly to PACS or print them to DICOM film. DP2 can combine a multitude of actions into powerful DICOM workflows, an example of which can be viewed in our blog. DICOM Printer delivers many things automatically, in the background, without any user intervention. Print from any application to PACS. DICOM Printer shows as a virtual Windows printer. You can print from any application, including from old non-DICOM workstations. Improve DICOM document storage with this revolutionary software. Parses documents and queries worklist and stores to PACS. Can even ask for help for tricky documents. Makes decisions based on queries against PACS, Worklist, or third-party systems such as EMR, RIS, as well as proprietary databases. DP2 can wait and intermittently re-query until associated exam records and images arrive in PACS, so it’s perfect for attaching referral documents to future diagnostic test results. DP2 embodies our unique approach to workflows by providing robust “fire and forget” DICOM functionality to applications and devices — no more waiting until things get stored. Flexible XML configuration allows interfacing with outside tools, as well as scripting languages like Ruby or Python. Find out which DICOM Printer version is best for you! DICOM Printer also supports output to Dry Imagers, such as Drystar, DRYPIX or DRYPRO — or multiples of each! AGFA Drystar Axys, 5302, etc. DP2 will output DICOM film from virtually any Windows application. Background operation delivers images and reports to film without any manual intervention. DP2 makes sure the image comes out exactly the right size, no matter which printer or film you’re using. DP2 supports Grayscale in both 8-bit and 12-bit, as well as Color. If you would like to try DP2 with your Dry Imager or PACS, then please download an evaluation copy and contact us to help you get started.